When building a YouTube following, there are a few key things you’ll want to nail down as early as possible. Part of warranting subscriptions is appearing professional – a reliable source that your viewers can depend on for high quality content. One of the easiest way to assert this right away is by making a really good YouTube intro. Before you can begin the process of creating the best YouTube intro possible, it is important you understand the things a vlog introduction should aim to accomplish, and exactly what goes into making one great. Afterwards, we’re going to be breaking down several of our all-time favorite YouTube intros, and how you can learn principles from them that can be applied when makings yours. 1 What Makes A Good YouTube Intro? 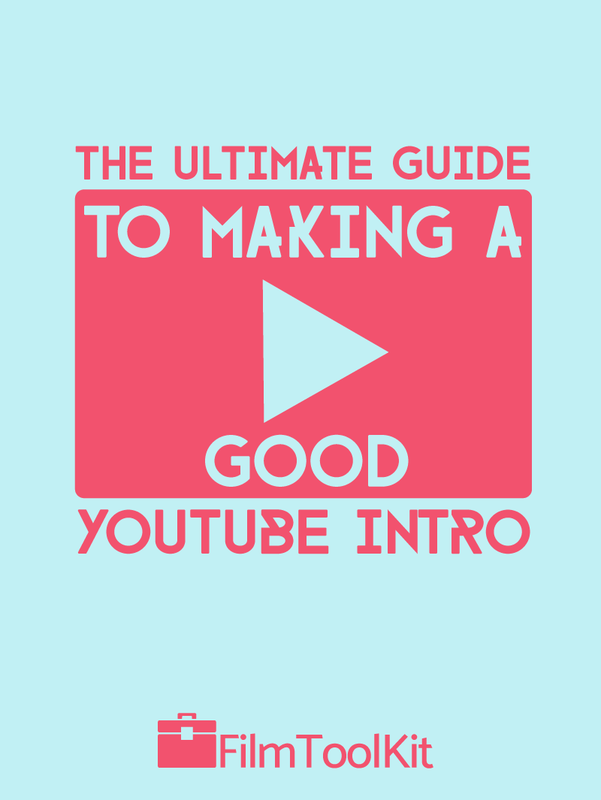 What Makes A Good YouTube Intro? When people click on your video, you need to be immediately catching their eye and hooking them. The amount of time people spend on your videos is a very important ranking factor, and if they’re not hooked in the first 15 seconds, they’re probably going to be clicking off. When appropriate, we suggest leading your intro with a short (5-15 second) clip of one of the most interesting moments from the video they’re about to watch. In our opinion, there are three fundamental aspects that should be taken into consideration and applied to every intro, regardless of content or genre. Your intro should effectively communicate the entire essence of your channel, and tell the viewer exactly who they’re watching. Meditation and ASMR YouTube channels shouldn’t have an intro that blasts heavy metal music. Do you dissect interesting conspiracy theories? Then your intro should give off eerie vibes, potentially using some of the best clips from previous investigations set to some spooky music. Do you teach people how to play guitar? Then some riffs over a black screen with your username might be more than enough to get the job done. This one is arguably the most important. If you can’t put together a polished, professional looking intro, you honestly just shouldn’t have one at all. First impressions are everything, and while introductions have the ability to hook your viewers, they also have the ability to make them click away. Avoid overly-loud dubstep or otherwise cliche intro music. Even if you’re a gaming YouTuber and it is appropriate to your niche, it’s pretty played out. For the sake of making this tip evergreen, we advise that when picking music you take a look at what all your competitors are doing whenever you decide to make your intro. If you notice any major patterns, avoid them and get creative to come up with something unique that will stand out. Don’t use an intro template you downloaded off the internet or bought off of fiverr. Below is a truly awful intro that does just about everything wrong, use this as an example of what NOT to do. Perhaps 7 years ago when introductory sequences were a bit more rare you might have been able to get away with something like that, but today, it makes you look painfully uninspired. Good intros make you stand out from the crowd, but if you put the bare minimum effort in and come up with a cookie-cutter intro like the one above, all you’re doing is making yourself blend in with millions of other wannabes. If you truly aren’t creative, and are feeling lazy, just have your name pop up in plain text with a little bubble-pop sound effect or something. Seriously. The simplicity looks a lot more professional and unique than some flashy animation template that thousands of other channels are using. Your introductory sequence should have a unique sound effect, or a really catchy, non-overused song (get permission). When used properly, good audio cues can penetrate the minds of your viewers, and keep them thinking about your channel even when they are nowhere near a computer. This can be a clip from a full-length audio effect, or as simple as a sound-byte or effect tied to an appropriate visual. We strongly recommend against using stock music, and you should already understand that you won’t be able to use copyright music. To find the best songs for your intro (and videos, while you’re at it), we suggest individually reaching out to artists either on YouTube or Soundcloud. There are countless talented artists out there who would leap at the opportunity to collaborate for free exposure. Just make sure you don’t forget to credit them properly. Now that we’ve laid out the essential components of a YouTube intro, let’s take a look at several different examples from several massive channels. We tried to include a varied selection to help inspire everyone, regardless of what your content is about. You should notice that each of the following examples follow the principals we laid out above, albeit in different ways. Let’s take a look. If you’ve got skills with programs like Adobe After Effects, putting an animation together like this might be your best course of action. In just a few short seconds, you see both the animation style, tone, and all-encompassing subject matter discussed on the channel encapsulated in a very brief, snappy animation. It perfectly embodies the channel and demonstrates exactly what you can expect from tuning in. Your animation doesn’t need to be nearly as complex, so long as it fits the general “feel” of your channel. Plus, if you don’t know how to make one yourself, a quick animation can be relatively inexpensive from some artists over the internet! Like we said before, avoid sites like Fiverr. You get what you pay for. Old-school champions Rhett & Link have one of the most impressive intros on the entirety of YouTube. Check it out below. A unique, catchy jingle plays over a staggeringly complex stop motion animation that alternates between objects that convey the show’s title (good morning), and the tones and subject matter of the show (wacky, “mythical”). Now, an animation like this probably took a stop motion professional a very long time to make, but we thought it would be a good idea to break this one down to show you how even the more extravagant introductions are rooted in the same founding principles. Here’s an older video of theirs with their previous, equally intricate intro that accomplishes something very similar. Alright, between the last two examples, you’re probably feeling a bit overwhelmed. You probably don’t have thousands of dollars to drop on a stop-motion animation, or the world-class animation skills of the Kurzgesagt team. The Vsauce channels take an entirely different, yet shockingly effective approach. Rather than some extravagant sequence, he simply says “Vsauce”. It tells you exactly who you are watching, and what you can expect from them. You’ve just heard their name and within seconds they are diving deep into rich, interesting information. As a viewer, you understand that this no-nonsense approach means that this channel isn’t going to waste your time. It would be hard to formulate a similar introduction without blatantly ripping them off, so we suggest you just take their intro as a lesson; Your introduction does not need to be flashy, but it should communicate the tone of your channel and what your audience can expect out of you. This intro also is very effective branding – you’re much more likely to remember the name of this channel and share it with your friends because you hear it every single time you load one of their videos up. As of the time we’re writing this article, our favorite intro on YouTube is the one used in Casey Neistat’s 368 Vlog. The camera rushing through the city and the quick cuts synced to the music immediately grabs your attention while simultaneously conveying exactly what makes Casey great. 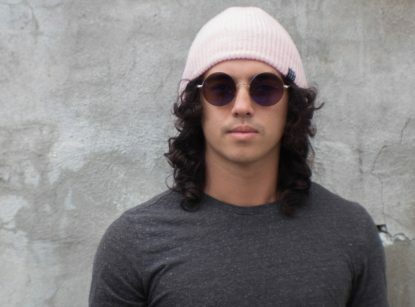 His eye for cinematography, creative vision, and editing skills all come to life synced to an incredibly catchy beat. What we love the most about this intro is that the meat of it stays the same every time, but every intro is a little bit different. The opening montage usually features different clips that were shot alongside the vlog that follows. These clips are usually not repeated in the vlog either. This gives viewers a stylish preview of what they can expect to see in the following video, and increases user retention. Your introduction is a very important part of your YouTube channel. It lets people know that you are a dedicated content creator, and gives them a preview of what they can come to expect from you. With that being said, we also think it should be noted that it is far from a top priority. We see too many YouTubers spending a bunch of time on their intro while their content is still seriously lacking. Please make sure you’re uploading consistently, and following the guidelines we outlined in our excellent guide to getting views on YouTube. If you’ve enjoyed this guide, please check out one of the many guides for YouTubers we have put together, or take a peek at what equipment your favorite famous YouTubers like!